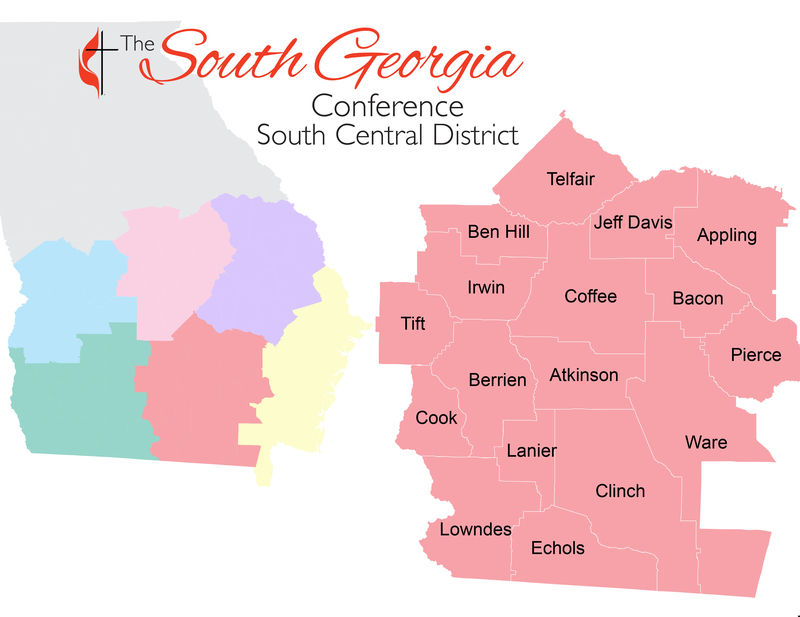 The South Central District of the South Georgia Conference is led by Rev. Henry Bass. It is comprised of 17 counties – Telfair, Jeff Davis, Appling, Pierce, Bacon, Coffee, Irwin, Ben Hill, Tift, Berrien, Atkinson, Ware, Clinch, Echols, Lanier, Cook, and Lowndes. The South Central District is one of six new districts established during the June 2014 Annual Conference session.